I have always been a one-perfume kind of person. One perfume for special occasions, that’s Chanel No. 5. One summer perfume, for holidays, Ô de l’Orangerie by Lancôme. Finally, one perfume for everything else, a signature scent. In Summer 2010, I had been looking for a new signature scent for more than six months, trying to move on from Coco Mademoiselle. I had just received No. 5 from my Great-Aunt, and wanted an everyday perfume that was completely different from this. I was in London some Augusts ago when Love, Chloé was launched and I fell in love with it. It became my scent for more than two years but the love had waned far before that time passed. I have one major pet peeve: I hate to smell a perfume I am wearing on someone else. Other products, I am fine with... It has become a known fact, for example, that Literature Editor Olivia and I own several of the same pieces. I am fine with that – in fact it actually amuses me and I think it a lovely testament to our friendship. But having the same perfume? That I cannot live by. By early 2011, I was in Milan and could smell Love, Chloé on one in every ten girls. I was not amused. For years, I kept looking for a new scent that would be special and personal, something that represented me. It was only last year when I was cleaning my old laptop that inspiration struck. During my second year at Bocconi, I followed my roommate to a course on Artistic Perfumery, and I loved it so much that I ended up doing a project on the store that was organising the course. I even went to a perfume fair. How could I have forgotten all about it?! Possibly, because apart from a handful of friends, I have tried really hard to forget my years there. They were not the happiest of my life. Back to the story. In November of last year, I went to Paris to visit a friend and made a resolution: I would not come back without a new signature scent! It was a three day process, one of which involved going to Disneyland Paris. If you want to test a new fragrance, you want to be in the right frame of mind. There were a couple of contestants for the role, but they were all from Penhaligon’s, the brand of perfumes I love the most. There’s no one like them. Each perfume tells a story. Their newest collection is in fact a series of portraits, and each fragrance is an olfactory novella. I myself tried The Revenge of Lady Blanche, and it was a very strong contestant. However, some of its core notes were a bit too fresh for me. Instead, I fell in love with Iris Prima. After buying it, I read some review characterising it as boring, which only reinforced my belief that reviews for perfumes are useless. First of all, there is a subjectivity in choosing a perfume that every other category lacks. Secondly, perfumes change when in contact with each person’s skin. 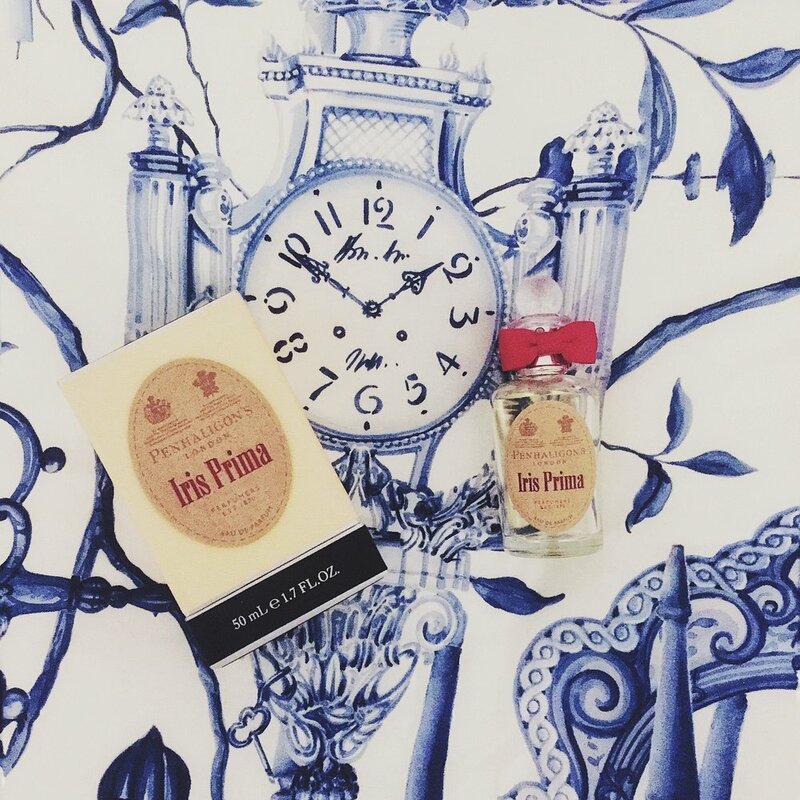 Iris Prima is the official perfume of the English National Ballet. At its head, a woody scent reminds you of the parquet of a ballroom; then the flower hits you, Iris above all else, like a grand jeté; its freshness then leaves a heart that is pure chypre. I don’t think I have ever before loved a perfume as much as this one. I still don’t know what I will do when I finish the bottle, simply because I enjoyed the process of choosing of a new perfume so much this time, that I might want to do it again. As long as it’s Penhaligon’s.